President Peter Mutharika has disclosed that he will institute a commission of inquiry to probe attacks and ruthless killings of people with albinism. Mutharika made the disclosure when made at the Kamuzu Palace in Lilongwe on Thursday when he held an audience with persons with albinism under the banner of the Poor and Concerned people with Albinism (PACPWA) - a breakway group from Association of Persons with Albinism (Apam). "The President will institute a commission of enquiry to get to the bottom of the killings and abductions of people with albinism," presidential press secretary and spokesperson Mgeme Kalilani said in a communiqué issued after the meeting. The commission is expected to investigate the truth about assumed markets for the targeted body parts of people with albinism, driving factors influencing people to engage in the malpractice, people's awareness levels on the issue and delays by the justice system to conclude cases involving the victims. Disability organisations in the country have proposed that the Judiciary, Fedoma, traditional healers, chiefs, police, Association of Persons with Albinism (Apam), Malawi Human Rights Commission (MHRC) and Ministry of Justice and Constitutional Affairs, among others, should form the commission. Commentators believe the commission will unveil answers to questions Malawians have on why government is failing to decisively act on the attacks and killings as well as on delays by the courts to conclude cases involving killings of people with albinism. 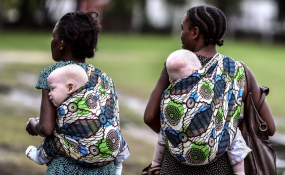 Association of Persons with Albinism (APAM) Board of Trustees Vice Chairperson, Abigail Dzimadzi said what the PWAs need is assurance that the NAP will work and not just be on paper. "We need real commitment for the NAP and not just mere talk. There is need to popularize the NAP through implementation. Apart from implementation of the NAP a commission of enquiry that would expose the barbaric act would be a good starting point in this cause," she said. Dzimadzi who has a child with albinism said there is need for action and not mere talk as such there is need to address the situation regardless of association. Pacpwa Chairperson, Francis Masambuka concurred with Dzimadzi on the NAP implementation saying what the country needs is action. He said there is need to protect persons with albinism especially those in the rural areas because they are more vulnerable than their town counterparts. "It is disheartening today that we are talking of such atrocities. There is need to empower the police with mobility so that protection is enhanced," he said. Mutharika also pledged that his government will pay a K5 million reward for any report leading to the arrest and prosecution of anyone hatching plans to abduct and kill people with Albinism. The President also disclosed that government has procured 3, 000 personal security alarms from Britain to be distributed to persons with albinism. The meeting was attended by among others, Cabinet Ministers, Traditional Leaders, the Police and other key stakeholders.